The reports are eerily similar. The skies go dark. Radio signals die. And then a World War II-era ghost plane glides, low and silent, across the sky before disappearing. What is happening in the skies over Derbyshire? 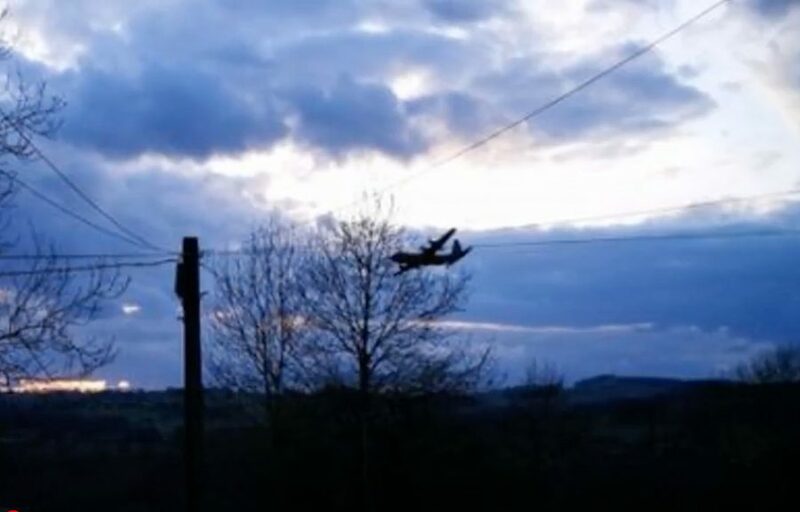 According to the calls flooding the offices of The Derbyshire Telegraph, people are seeing ghost planes. It was the evening of March 26, Mark O’Brien told The Derbyshire Telegraph. He was picking up his daughter from her swimming lesson, when he saw it. “It was so low, it must have been only been around two or three houses high. I thought it was going to crash at one point but it was large and very quiet. I remember it flying above me and my heart stopping for a second. It looked like an old World War II plane, but it was dark so I couldn’t make it out. Then, she reported, the old-fashioned plane appeared, flying as if it were about to crash. But before it did, it disappeared. Before the day was out, the Telegraph would receive dozens more calls. Each call would recount a similar sighting, in the same area of Britain, around 6:45 that Monday evening. Image CC BY 3.0, by Nilfanion, via Wikimedia Commons. The reports all described the plane as a large propeller plane, dark or green in color. Some speculated it was a Douglas C-47 Skytrain, also called a Douglas Dakota. The Douglas Dakota was a military transport plane used by the Allies during the second world war. Many people reported seeing not one, but two planes. “We were in the kitchen when we heard them coming. We looked out and saw one plane pass over and bank to the right towards Ashbourne. Then a few seconds later another one passed over. Engineer John Haigh was driving, when he saw the planes. Not convinced? The video below explains the sightings, and the aircraft, in greater detail. A Royal Air Force spokesperson has a different take on the sightings. According to the RAF, three of their multi-purpose military aircraft were flying over Derbyshire at the time of the reports. Indeed, a report from witness Mark Dean, identified the planes as Hercules aircraft. Moreover, the spokesperson said, the RAF routinely flies over the Peak District, where many of the ghost plane reports originated. As for the Douglas Dakota, which some witnesses believe the planes to have been, that model has been in continuous use since 1941. Or is that what they want us to believe? The RAF’s explanation sounds reasonable. Until you realize that this isn’t the first time area residents have reported seeing similar phenomena. People have been seeing second world war era ghost planes in the area for a very long time. One witness in the video below even talks about his encounter with a ghost pilot. What is really going in the skies over Derbyshire? Some have called Derbyshire the most haunted city in Britain. In addition to ghost planes, people have reported seeing spirit children, white ladies, blue ladies, grey ladies, and UFOs. 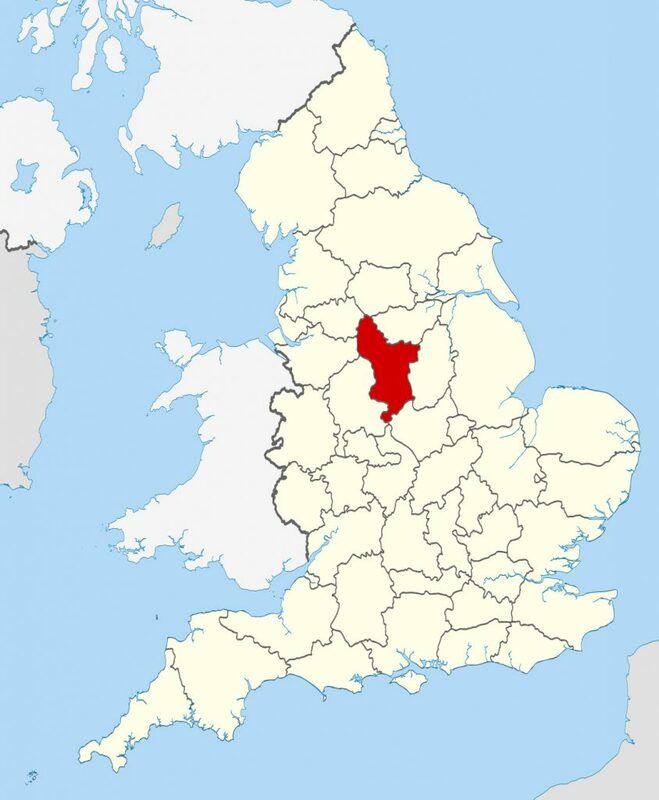 Evidence shows that humans have been in the Derbyshire area since the Middle Paleolithic. An area that has been inhabited for nearly 200,000 years is bound to have more than its share of ghosts. At the same time, ghost tourism is big business in Derbyshire. Visitors can take part in guided ghost tours and ghost hunts. They can poke around supposedly haunted castles, houses, and pubs. Is it possible the ghost planes are some kind of publicity stunt? Some might think so, but to hear Derbyshire residents tell it, the ghost planes are real as they come.